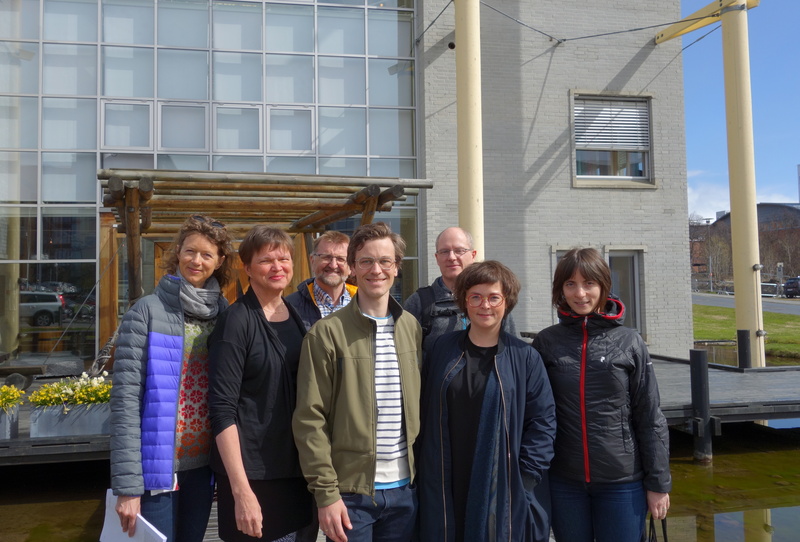 BFE and its partners from Tromsø celebrated on Thursday the start of a new European Union (EU) funded project about marine resource management. The Norwegian College of Fishery Science has been involved until now in 12 EU projects and FarFish is the last one added to the family. The objective of this project is to improve the knowledge about fisheries management outside Europe and among the partners of FarFish there are Brazil, Cap Verde, Mauritania, Morocco, Senegal and Seychelles. The FarFish project will provide new knowledge that can contribute to implementation of future-oriented management criteria for non-EU waters fisheries where the Union has established cooperation with third countries. With the help of six big case studies situated in the South Atlantic Ocean and the Indian Ocean, the project will gain insight in the sustainability of, among others, tuna, coastal and deep-water shrimp, octopus and sardines fisheries. Twenty-one partners from both inside and outside Europe will work together to improve methods for data collection and for usage of research results based on these data. The development of the FarFish database and improved management routines will constitute together a good basis for the management plans that have to be developed within the project. The Norwegian College of Fishery Science from the Faculty of Biosciences, Fisheries and Economics (BFE) leads one of the work packages in the project and, together with the Norwegian Marine Research Institute and Nofima, will receive more than 10 million nok during the 4 years period of the project. The work package led by the College will develop and adapt management plans for the fisheries included in the case studies. We are very glad that this application was funded and we are looking forward to start the work, says Michaela Aschan, pro-dean with research at BFE and work package leader in FarFish. UiT is the second biggest partner in the project and the contribution of the Norwegian College of Fishery Science comes from an interdisciplinary group of colleagues with wide competence. Research areas such as marine ecology and physiology, population biology, bio-economic modelling, effects of climate change on fisheries, fisheries management, natural resource management, value chain analysis, social sciences, socioeconomics, statistics and theoretical modelling are represented in this group. In addition to leading an individual work package, the College is involved in all the other seven work packages of the FarFish project. - It is new that the EU focuses so explicitly on improving knowledge on and management of fisheries outside its own territory, says Aschan. It is also appealing that the Union wishes to show responsibility and improve sustainability in all the fisheries that it uses. For us as researchers it is exciting and instructive to work with new colleagues from South America, Africa and Asia. This also gives the Fisheries College the possibility to contribute with its developing countries competence in a highly interdisciplinary and problem solving oriented project, adds Aschan. The project will be officially opened with a meeting of participants from all the partner countries in Vigo, Spain, 13-15.06.2017. Aquaculture fast expanding globally: How can we secure a sustainable use of our oceans? Fra havets dyp til toppen av seierspallen! Strømbudsjettet til Polarmuseet kraftig redusert takket være polarnatt-forskere!